Work will begin from October 12 to secure a water main on Blake Hall Road, Mirfield. Motorists are being warned of up to five weeks of roadworks in Mirfield, as experts secure a water supply that has burst five times in the last five years. Engineering specialists Balfour Beatty will start from Monday, October 12 to improve a 450m section of water main which runs along Blake Hall Road. The team will begin near to the junction with Church Lane. The junction will be closed but access will be maintained to Blake Hall Road from Blake Hall Drive and temporary traffic lights will be in operation on Church Lane. As the team move along to Blake Hall Drive, this junction will be closed and access will be maintained from Church Lane. Yorkshire Water said some verges may be disrupted but these will be restored when the project is finished, which should be in about five weeks. Yorkshire Water project manager, Dominic Cunney, said: “We’ll do our best to minimise any disruption but there may be times when, due to the location of pipework, local residents may not be able to park outside their properties. 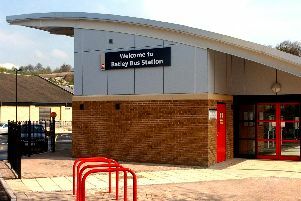 Neither Yorkshire Water or Balfour Beatty employees will need access to residents’ properties so residents are asked to be on their guard against bogus callers while crews are working in the area. Employees of both companies carry identity cards which can be checked by calling Yorkshire Water on 0800 1387 878.